The cellphone continues to pull in the functionality of digital cameras, PDAs, GPS navigators, mobile TV and numerous other applications. 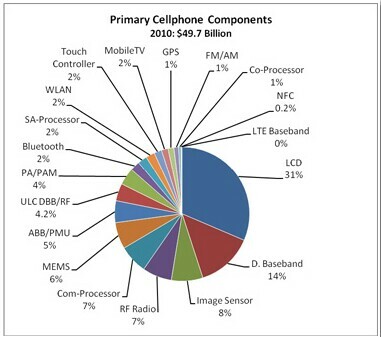 It is quickly becoming thedominant market driver for virtually all of these functions. 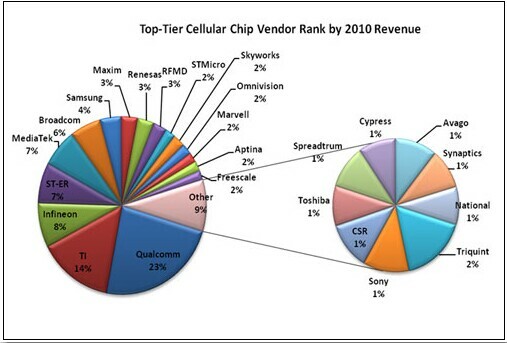 Earlier this summer market research firm Forward Concepts issued a report, "Cellular handset and chip markets ’11: An in-depth analysis of cellphones and their chips," which indicates that cellular handset shipments grew 12% in 2010 to 1.5 billion units. It includes some interesting points that those in high end packaging should study carefully. Anyone following the goings-on in the 3D IC market space would have to agree that Elpida has been at the forefront of the technology [see IFTLE 67] Several of these 3D practitioners such as Elpida, Samsung, and Micron (Aptina) also are in the memory business. A recent article attributed to Bloomberg Business Week [link] proposes that memory chip-makers ProMOS Technologies, Powerchip Technology and Elpida Memory, "burdened by debt, losses and falling prices, are under increasing pressure to seek mergers or exit the industry." 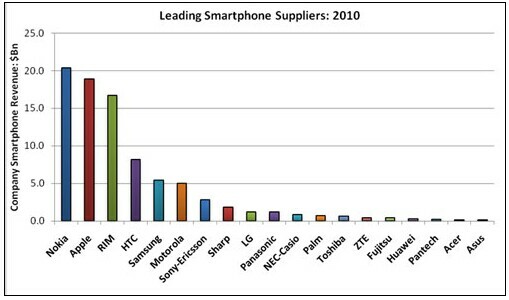 Reportedly, Elpida, which is $4.6B in debt, is "producing chips that sell for less than they cost to make." Micron, market leader Samsung, and Hynix Semiconductor are the only DRAM makers among the top eight generating a profit. DRAM makers as a group have lost 19% of their market value this year, according to Bloomberg, which quotes a financial analyst’s doubts: "I find it difficult to believe they [Elpida] are going to survive this downturn […] Consolidation is inevitable for survival in this industry." The Japanese government’s interest in maintaining an on shore supply of memory chips might limit who can acquire Elpida. Toshiba is thought of as a logical choice if such a merger is required. According to recent announcements, Elpida Memory is considering cutting back production at its Hiroshima facility and sending more work to Taiwan partner Rexchip, its JV with Powerchip [see "Elpida shifting output to Taiwan, blames yen and ASPs]. Reports indicate up to 40% of Elpida’s domestic capacity (50,000 wafer/month, 300mm wafers) could go to Rexchip would be producing the majority of Elpida’s output. The Taiwan partner would produce commodity DRAM, while the Elpida Hiroshima plant would focus on memory for smartphones, according to the Nikkei daily. No matter the outcome, IFTLE hopes these business issues do not impact the outstanding work Elpida is doing in 3D IC. Next week we will finish updates from SEMICON Taiwan. This entry was posted in Uncategorized on October 2, 2011 by insights-from-leading-edge.